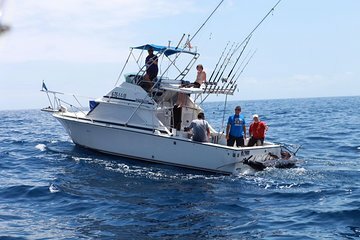 The Atlantic waters of Tenerife’s Costa Adeje have an abundance of fish, from sharks and barracudas, to mackerel, tuna, and blue marlin. With a shared charter boat and an expert guide that knows all the best spots, this tour maximizes your chances of catching fish. Suitable for complete beginners, your crew will show you the ropes, or offer expert tips for more experienced anglers.